When Yeezy premiers a film, it's safe to assume he's not going to gather some people inside an auditorium and hit the lights. Why do that when you could commission a massive pyramid to house a seven-screen cinematic palace? 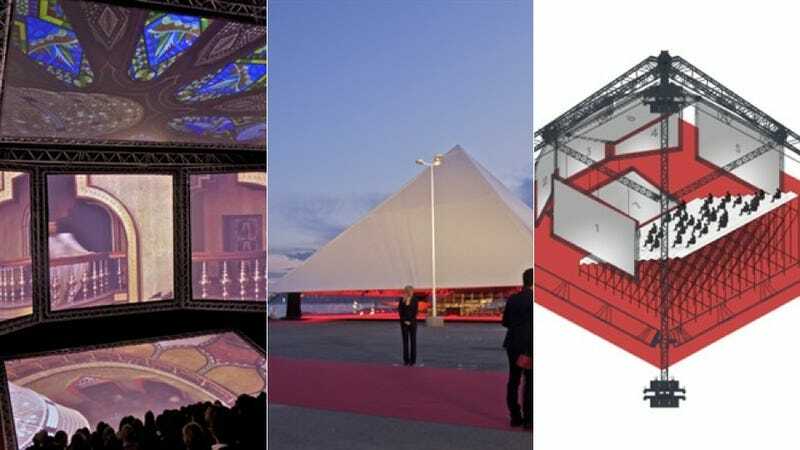 Kanye's Cannes Xanadu is probably the closest we'll ever get to literally stepping inside the guy's brain—lavish, indulgent, and totally spectacular, the pyramid seats 200 before an array of enormous 17' x 17' displays. And how else could he have debuted his new flick, Cruel Summer? It mixes Arabic folklore with Kid Cudi—no ordinary theater would've done the trick.